ways was that mighty album’s equal: Giant Steps. The opening cut takes off in a run: an open heat of veteran runners rising up into stride en masse. The pace set at a brisk clip…the runners a little tight in the arms, jockeying for position. Pace picked up…Trane, the lead runner, asserts himself, letting the group know how the race will go…and the players fall in line; Taylor, on drums, right there close behind, knocking around in his peripheral vision, already tuned into the leader’s moves, guessing fast what might grow out of them, what little surprises to prepare for…a rapid-fire tat-a-tat under feet to spark the forward drive. Flanagan, on the piano, creates a little distance from the pack, an amiable space and pace to reside in…knowing the lead will not long be his…just allowing the leader to take a breath before the final turn home…and, there he is, Trane, high-kicking the group fast to the finish line. Race over. He showed me the answers just by playing them. He’s been clean a while, been playing with Monk. The whole album his own compositions. Out from under Miles’s shadow. Get online and look it up; the myth is fully recorded. Better yet, play the music. Turn it up loud. Let your body take it in. Be cool with the fact that he plays way too many notes. But you have to be doing something. It has to fit the chord, the day, the weather and everything. I’ll give my brother one thing, though; he’s got a great sound system. Top-of-the line Advent speakers that make the music come alive in the room. Giant Steps. Coltrane’s bright, frenetic tone jumping out into the room. "Naked," he likes to call it. When played this loud, the acoustics seem to catapult Coltrane’s rapid-fire spray of notes into 3D, making them somehow both more soulful and more urgent at the same time—they explode off the walls. And the drummer’s steady top-hat work a little storm in his hands. Humming along with the pulsing bass line, running over the little bumps the drummer provides on the downbeat. 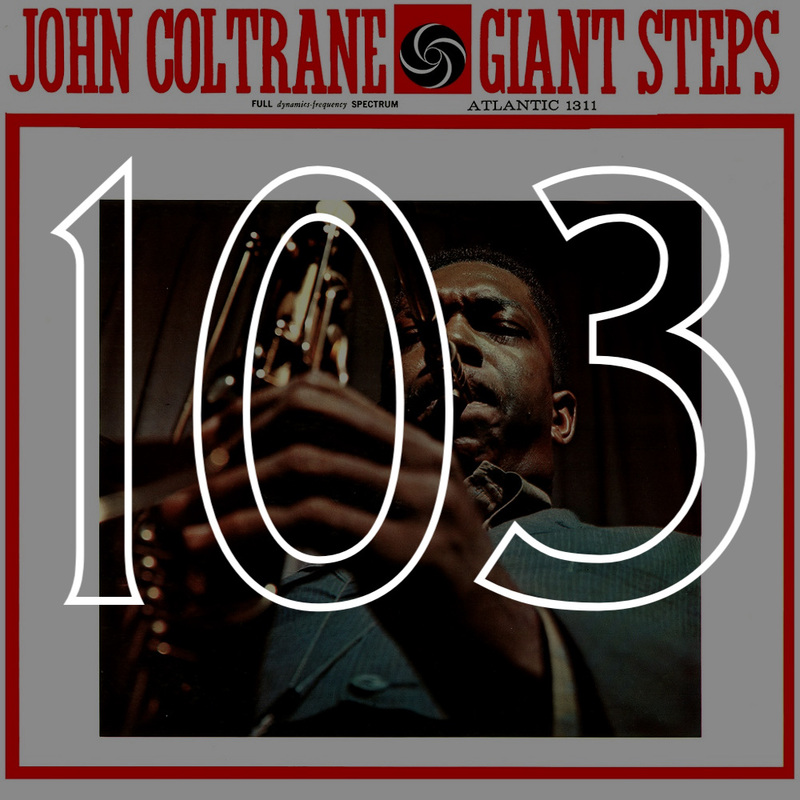 As I walk back to the bathroom, I adjust my gait to Trane’s urgent, metered steps along the rope-ladder octave. Letting the door swing shut slowly behind me, in slow mo, before clicking into place. The tourist is like the spurned lover, the unacknowledged soul with a crush who runs around a city that cares nothing for his attentions. He is denied access to the Real simply because he does not know the language of the city’s emotional life. Guidebooks are like old keys that don’t fit the new keyholes. A horn blares. A call to prayer announced through the old village? No, a song, mid-tempo, swinging out into the winding streets! The bass and drums quietly punctuate and demarcate phrases in Trane’s runs then the piano steps gracefully behind the chords. Trane’s solo stopping as abruptly as it began. Standing back for the piano’s turn. Flanagan mimics some of Coltrane’s runs but also ends with the comps he was making behind Coltrane earlier. Same technique for Chambers. But it’s as if he lifts up the bass and walks the whole song into the back room. Makes you follow him in. Then Coltrane just stepping back in, walking all over the last few notes of the solo. He holds his notes a little longer. Same repeated runs. A little gutbucket. Lets the melody drop down to a close. & Taylor using the brushes to tie up the song as if it’s a package, snipping off the ends. I play the song again, and again I am walking through the ancient city, spiraling up its switch-backing cobblestoned streets. A small city in the nook of a courtyard under shade. I have always fallen in love with the visages of strangers in the coffee shops of strange cities. Why is this? Is it simply so I can walk through a secret entranceway and step into the courtyard in the heart of the city? I can hear a little Monk in the tune’s opening notes—how he fills space with that jagged just-off-ness. And a little Miles from the recent Kind of Blue session in the way the song takes off the runway like that. The old clothes fitting so well before being flung off. Still, the song works like a traditional jazz number—lead solo, piano solo, etc. That’s the looking back, the tradition. The old way establishing itself. Or maybe it’s Trane letting that familiar roll call do its workaday work. No need to overthink it. Get in line, brothers. The solo the thing. The second solo the real thing. Chambers gives us a subterranean tour of the song’s ribcage—bass line as flashlight beam. Then Trane grabs a hold and starts pointing things out with that beam of light. Here. Here. And now we’re faced fully forward. The band in synch. Playing it out. Turning out the light. This one could be an outtake from Ballads. A little like his work with Ellington. A nod to Bill Evans. You can almost hear Hartmann’s honey-scotch croon about to slip under the horn’s spattering rain. The whole song one big nod. Back in that cave, pool of glacier blue water. Light percolating on the ceiling. Trane’s horn a flame flickering. A voice singing. Beckoning. Beacon. The bass like drums in the distance. The piano all big soft hands and comped chords. Invisible. The occasional shadow figure running up the wall, suggesting the melody. Coming out onto an empty beach, walking along a sand bar until it tails off. Walking on, still on the bar, but in now in waist-high water. Islands in the distance. A large dune curling around the horizon’s edge. A single gull finger-painting a slur of grey onto a canvas of clouds. It was as if Charlie Parker had appeared in jazz three times. Going through all my father’s old Coltrane LPs—and he collected quite a few—reading the liner notes, I find at least three references to the phenomena of Coltrane looking back and forward in his music at the same time—such and such a recording at the crux between his old way of playing and the yet evolving new. It’s there again with this recent “lost” album, laid out by son Ravi. You can hear it in “Mr. PC.” How he opens (again!) in a sprint, chasing the ghost of Parker, and keeps up the pace for the first two minutes through breakneck changes; but then he starts breaking into plaintive wails and obsessive twirling runs—not so much circular breathing as holding his breath forever. At three and a half minutes he lets the solo go (a rabbit scurries under low bushes) and turns from the piano. He’s lost somewhere in the future. Looking in both directions…It’s a fantastic idea, for sure. And maybe this Janus-like multi-directional vision was a consistent aspect of Coltrane’s genius. Maybe Coltrane always pivoted like that, swiveled like that, in his desire to do good in this world.